A florists’ shop may find themselves swamped on February 14th, and chocolatiers across the country are selling out faster than they can wrap their foil hearts, but very few people are knocking down doors for a pallet fit for their valentine. 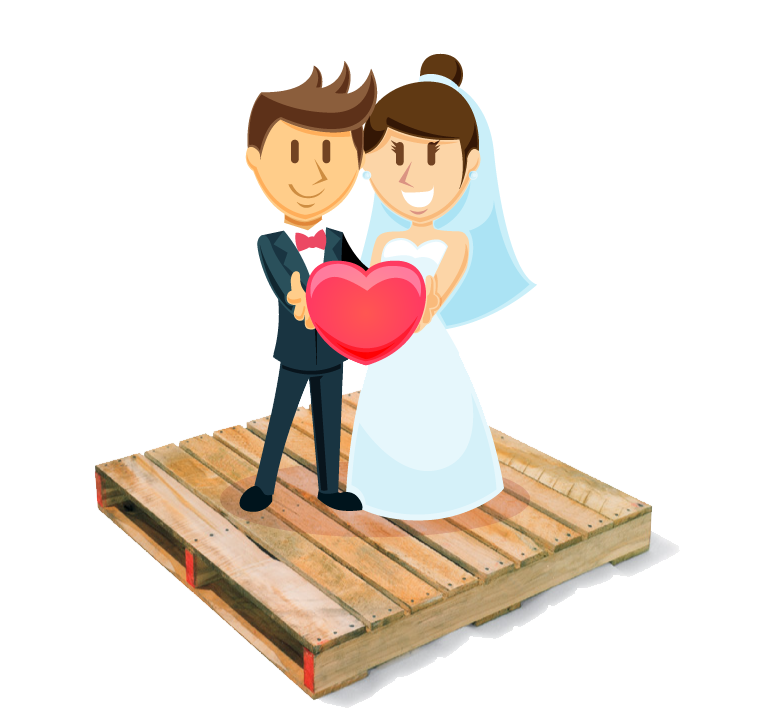 While it is true a pallet does not make a romantic gift (although there are plenty of DIY projects that make wonderful presents), that doesn’t prevent Millwood from embracing the holiday of love (check out this post about all the ways you can use pallets as wedding decor). Regular readers or customers familiar with our company know about our pillars (trust, servitude, discipleship and integrity) and how seriously we take them. As a commitment to the pillars and the culture they represent, each Millwood facility is supported by their own chaplain. The chaplains attend to spiritual needs, but also focus on support in times of poor health or assistance in financial crisis. They serve as shoulders to cry on and confidants for both exciting and disappointing news. In essence, they are there to serve our team members in any way they can. Sometimes that means visiting a sick family member in a hospital. Other days, it can mean participating in the most joyful day of a person’s life. Many of our chaplains have officiated weddings- sometimes for one team member and their fiancé, other times to join two team members together in holy matrimony. Even after a couple is happily married, chaplains stay invested in helping grow and develop spousal relationships. Millwood hosts marriage getaways, offers couples counseling and chaplains are always available to team members and their families in times of need through an emergency hotline number. The celebration of love, family and togetherness may not seem like the obvious attitude for a packaging company, but it is the foundation on which we stand. The hopeless romantics at Millwood wish you and yours a very happy Valentine’s Day this year!